North Wales has the perfect ingredients to ensure your cheese boards are an object of desire, writes David Rothnie. A hunk of generic supermarket cheddar might be just the ticket when you’re home alone after the pub, but serve it up after dinner and you might find your guests are soon reaching for their coats and mumbling about having an early start in the morning. Fortunately, living in North Wales means your cheese course can be a showstopper every time, with a wealth of producers from big creameries to local farmers offering a dazzling variety of flavours, often combined with a colourful backstory that will your guests’ imagination will be as stimulated as their palate. The lush pastures of North Wales create the perfect conditions for the production of protein-rich milk and a tradition of cheese-making. The oldest farming co-operative in Wales is near Pwllheli, where the South Caernarfon Creameries (SCC) produces Dragon Cheese as well as being only remaining farm in Wales still to produce Caerphilly. But as well as tradition there is progress. In 2016 SCC opened a new facility, the first new cheese plant in Wales since the 1970s, in order to meet with growing demand from overseas markets including France, which are waking to appreciate the quality of British cheese. Dragon’s Cavern Cheddar has been on the sort of journey that would propel it to the final of X-Factor. Developed in partnership with Llechwedd Slate Caverns, the cheese is matured for 11 months then transported from the Creameries to the Slate Caverns in Blaenau Ffestiniog and left to age 500 feet underground, literally creating a depth of flavour. The ageing process takes place in original mining caverns which have been converted into cheese caves, which sounds like any cheese lovers’ idea of home. 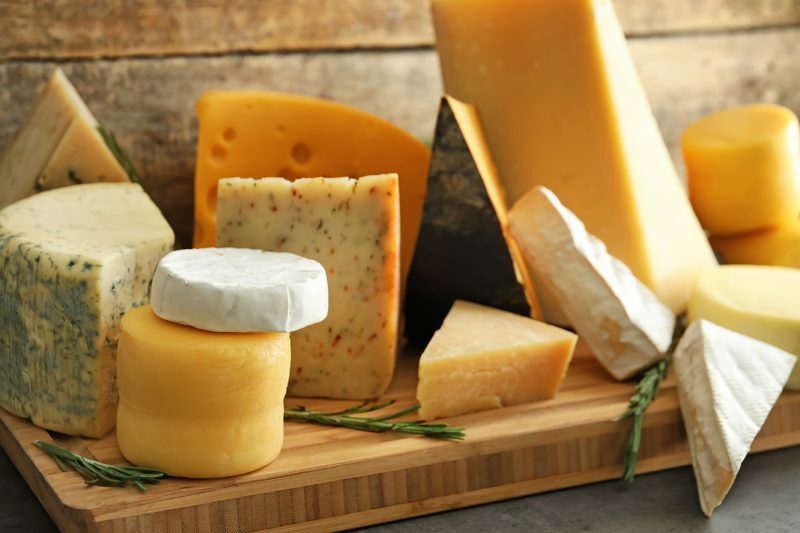 Head up the coast to Rhyl where the Snowdonia Cheese Company was founded in 2001 and now boasts a range of ten cheeses, all packaged in distinctive coloured livery and available in 200g and 400g truckles as well as a 3kg wheel. When lined up in a row, and with names like Black Bomber, Green Thunder and Pickle Power, this formidable range resembles the cheese equivalent of a rack of cannonballs ready to blast your tastes buds. But there are also a number of individual farms turning their hand to cheese-making, as they make a virtue out of a necessity, by finding alternative sources of revenue in response to downward pressure on milk prices. The cheesemakers have lifted the cling-film on a revolution that feels similar to what has happened to ale, with ever more providers pushing the envelope. And as with craft ales, Wales is leading the charge. There’s something to cater for every palate and it’s all made locally with the support of the Welsh Assembly and local infrastructure. For budding cheese makers, the Food Technology Centre in Llangefni on Anglesey runs courses which have inspired a determined bunch of cheese-makers. They include Bethesda-based Cosyn Cymru, which collected the best new cheese accolade for its Brefu Bach at the prestigious British Cheese awards held at the Royal Bath and West Show in 2016. Brefu Bach is an artisan-made sheep milk cheese produced by Dr Carrie Rimes, a former grassland scientist who studied cheese-making at the fromageries of France before creating her own products at FTC. Rimes, who also won silver for her Olwyn Fawr cheese, stocks her products at Blas Lon Las, the rebranded Moelyci Environmental Centre, at Tregarth. Meanwhile Arla Foods’ Llandyrnog Creamery in Denbighshire won no fewer than 12 medals at last year’s event. All are hoping for a repeat of this success at the 2017 cheese awards which will be held between May 31 and June 3. Over on Anglesey, Menai Jones is a full-time history teacher who spends her weekends, evenings and holidays producing award-winning cheeses. Jones Caws Rhyd Y Delyn produces Anglesey Blue as well as a farmhouse cheddar and a soft cheese, which also includes a version with samphire collected from the Island’s beaches. The cheese is made on the farm less than 30 metres from where the cows are milked.